Huntress 1.0 was a really nice beer and I will brew the recipe under another name. 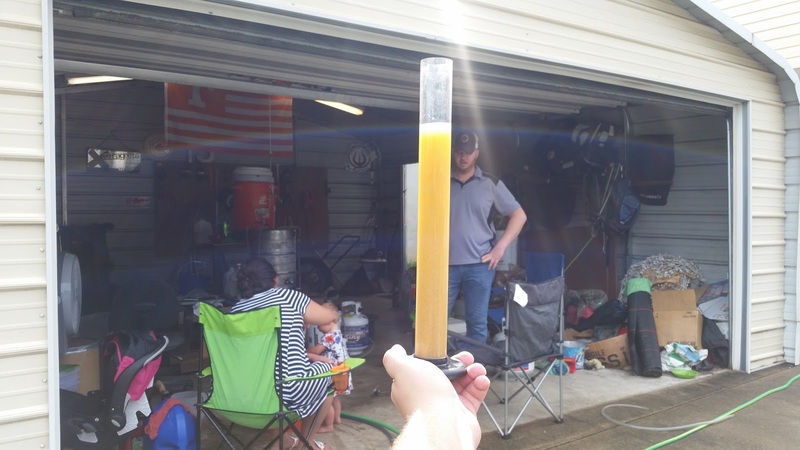 It wasn't exactly what I was shooting for so I developed the Huntress 1.1 recipe in an attempt to dial in my perfect IPA that is tuned specifically for me. That is the beauty of homebrewing. A brewer knows what they want and they can make it rather than settling for a commercial beer that they just like a lot. 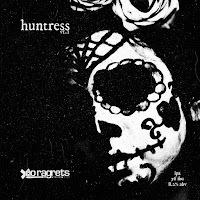 In the end, Huntress will be a tropical melon bomb with a touch of over-sweetness. The dialed in Huntress will also have a big silky body. There is no strict goal for the appearance. Huntress 1.1 almost hit my goals on the head but it does require some more tweaks. The hop profile is spot on, the body is exactly where I want it to be but the sweetness a little more than what I want and the alcohol level is too high. Even though this version isn't exactly what I want I will reuse it again. An aggressive Belgian yeast strain would make a great Belgian IPA with a big estery juicy profile...yum. The aroma smells like opening a bag of Amarillo hops and taking a whiff. (....well maybe not THAT strong) It tastes like a big juiced up Bell's Two Hearted IPA with heavy melon and citrus note4s. There is very little lingering bitterness and a very silky mouthfeel. The head retention isn't very good and that will be tweaked and could be a product of too much FermCap S used at the end of the boil. At 8.2% abv this tasty treat is sneaky after a fair amount of conditioning time. 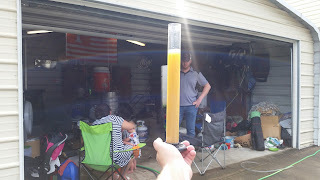 I had some fermentation temperature spikes, a stuck sparge, and too fine of a mill on the grain so this brew session wasn't without problems. I ended up with an OG that was higher than expected and an FG that was lower to make up 8.2% abv. My volume was a little short so my boil off was a very high rate. I decided to let it ride. After running the numbers I could have topped off the batch to the volumes specified by BeerSmith and been right on my OG target. Due to the reduced volume, I experimented with rehydrating the dry hops before pitching them into the beer in order to reduce hop absorption. I used 1.5oz of sanitized and cooled water per ounce of hops. I will do this every time I dry hop from now on. So far all of my bottles are a little darker than my gravity samples. I believe that they were slightly oxidized but that is a problem with my process and not the recipe. You folks with CO2 access and kegs shouldn't have that problem. To see the grain to glass video visit our YouTube channel by clicking HERE. I should have waited another week before sampling the beer. If conditioned out some of the flaws that I was picking up during the tasting portion of the video. If this recipe peaks your interest brew it up and let us know what you think on our social media pages. You can see those links on our Connect page. 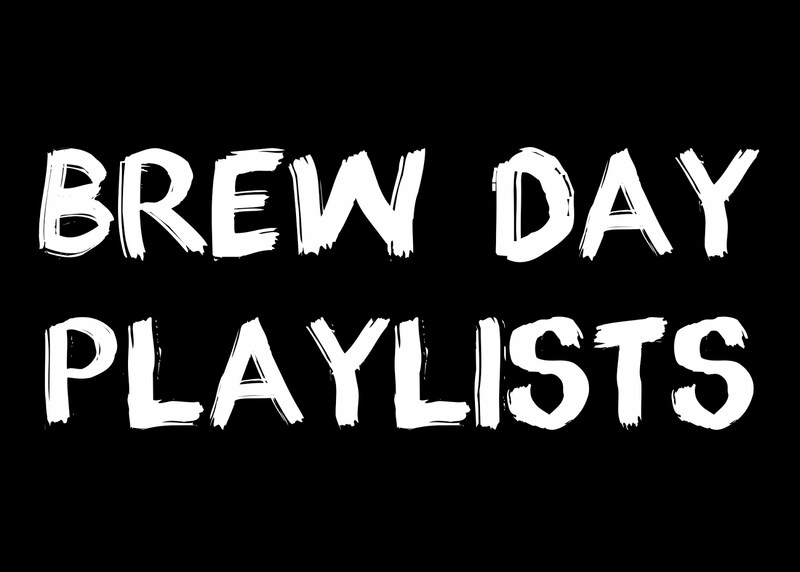 If you use the links provided we will get a small commission that goes towards more brewing and more brewing means more content for HopHeadHardware.com. Cheers!